Our finest polish ever created. New technology creates an ultra-high gloss, penetrating sealant with “Glassplexin”. Creates a rock-hard protective shield. For use on paint, fiberglass, chrome, glass, carbon fiber, plexiglass and metal alloys. Protects against ultraviolet rays. Impervious to harsh detergents. Blocks out corrosion and oxidation. 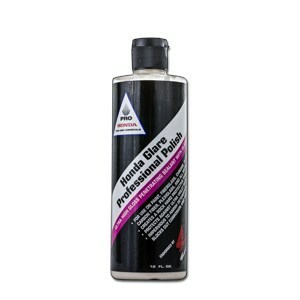 Best when used in conjunction with Honda Glare Ultra Wash.